As we are nearing the end of the TV season, the networks have started to make decisions regarding which shows will move forward next fall and which will be left in the dust. While NBC has renewed Law & Order: SVU, Chicago Fire and a slew of other dramas, it now seems as if there might be less great news for one of those renewed dramas. 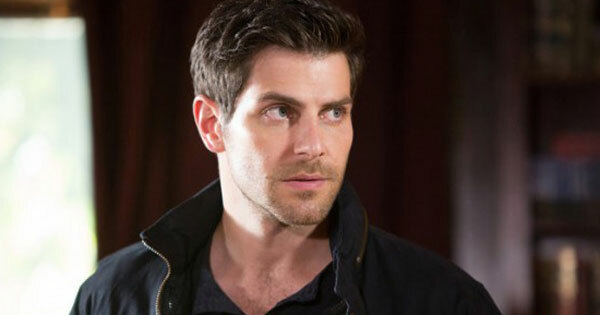 This week, NBC made a tough decision to cut down on the number of episodes ordered for its supernatural drama Grimm. While not a cancellation, it isn’t exactly good news, either. Grimm had been a steady performer on Friday nights on NBC during the first few years it was a part of the network’s schedule. This year, however, the show saw its ratings drop below a 1.0 on occasion as it dealt with solid competition from the CW, which moved Vampire Diaries and The Originals to Friday nights, and Fox, which also moved Sleepy Hollow to Friday nights. That’s not even counting ABC’s and CBS’ less supernatural Friday night lineups. Despite the numbers waning a bit, NBC ultimately opted to renew Grimm for Season 6 earlier this month. Now, the network isn’t exactly backtracking, but Deadline says Season 6 is looking like it will only be comprised of 13 episodes. Normally, a full order for a network TV show is at least 22 episodes, so 13 is a big difference. Oftentimes, when a network chooses to cut back on an episode order after a show has been on the air for many years, it’s not the best news. In fact, a shortened season sometimes signals the end to a series, giving the show an opportunity to wrap up in a way that makes sense and also gives fans the most closure related to the most storylines. That’s exactly what Fox is doing for Bones when it returns for a shortened final season next fall. Regardless, NBC isn’t willing to say that Season 6 will be the last for Grimm just yet. In fact, reports indicate that NBC’s episode order is open-ended. Thus, if Grimm does well after it premieres during the 2016-2017 TV season, NBC might just go ahead and give the show more episodes. If it doesn't do well, 13 might be all we get. It’s a little early to speculate on how next season will shake out. Ratings are a key factor, but so is how well a program is doing when compared to the other shows that air on the same night or on the same network. One of the big things that Grimm has going for it is a committed and active fanbase, and hopefully that fanbase will tune in when the show returns for Season 6. For now, you can check out what the networks have coming up with our summer TV premiere schedule.